I have written posts indicating that ADHD is not always the culprit in a broken relationship. I sincerely do not believe everything and anything is the fault, or should be blamed on an ADHD partner. ADHD can have devastating effects on relationships. I don’t think that’s a secret. Still, if anyone with ADHD is in a relationship and has avoided seeking help or proper treatment, or has been uncertain if doing so will help, then my best suggestion is to seek treatment because, yes, your ADHD could certainly be the cause of relationship hardships, or it could be complicating an otherwise beautiful, worth-it relationship. Diagnosis with proper treatment will not only help make relationships better and more fulfilling, but proper treatment can make one’s entire life more rewarding and satisfying. Diagnosis with proper treatment equals more out of life! Diagnosis and treatment are not magic wands though. Treatment still involves a lot of work. Some of the issues we have with ADHD, especially when not yet diagnosed, is that many of us have also developed certain ‘habits’ to cope and not all of our coping habits are as helpful as we might like. Let’s go over a little list together and let’s see if anything sounds familiar. If a coping mechanism is simply not to talk at all with your partner to keep from saying the wrong thing. If you’re not communicating, the relationship isn’t going to make it. If your partner complains that s/he can never get a word in edgewise, especially about important issues, because: a) you are interrupting or take over b) you change the subject as if something else caught your attention c) assume what s/he is going to say and therefore blurt something else out impulsively, or d) all of the above or similar. Yes, you could be an ADDer and if so, treatment will help. The appreciation rock routine, which Joan and I developed ourselves for our relationship, could help yours as well. Get a nice small, smooth rock, call it an appreciation rock and while one person is talking they hold the rock, neither party is allowed to interrupt or speak while the other is holding the appreciation rock. When one person is completely finished speaking, they hand the appreciation rock to the other, it’s their turn. We call it an appreciation rock because nothing should be spoken in anger or accusingly while holding it, and just as importantly, we tune ourselves to listen appreciatively. You will soon notice how difficult this is at first, especially if it is already an issue, but over time this may go a long way to better communication and understanding, or at least demonstrate how much interrupting is an issue. If you’re avoiding the bills because you need that latest game or other highly stimulating entertainment, yes, then that is more than likely an issue affecting your relationship. If you’re using alcohol to work your way through issues, or, avoid them, it’s a very good idea to seek help. Proper treatment for ADHD can help reduce the need for such; however, this area needs professional care and support too. Please, do seek help. There is no shame in seeking help. I was very lucky in this area, because I grew up working in my father’s restaurants and grew to detest even the slightest smell of alcohol. If you are constantly in failing relationships and the same issues tend to come back to haunt you, then looking in the mirror is a good idea. If you have ADHD, addressing ADHD with proper treatment will make a world of difference. Don’t take yourself for granted, because really, if anyone with ADHD doesn’t seek proper professional treatment in some form, it comes down to taking one’s self for granted and remember, we can’t get the time back that is lost due to avoidance. I know we can’t get any lost time back, but when it comes to avoidance, the regret that comes later sure seems to hurt a lot more. If you are always concerned about your needs being fulfilled and you are not aware of your partner’s needs, then ADHD can be the culprit. It’s important to remember that we, as ADDers, tend to think of ourselves, first, second and well, third too. Our partners have needs, wants and desires too, if those are not fulfilled it could eventually lead to the partner seeking to have those needs, wants and desires fulfilled elsewhere. Treatment for ADHD can help us look outside of ourselves and realize our partner’s needs are relevant and not only deserve, but need attention too! If you leave things undone around the house, not cleaning up spills, leaving the dishes in the sink, not cleaning up dirt tracked in, or not letting the dog out on time etc. Trust me, this is affecting your relationship even if your partner doesn’t complain… yet. This behavior comes across as childish and ultra disrespectful, but it is not meant to be and it is a very common trait of ADHD. You know that and I know that. One’s first response could be to get out of the relationship because that will never change. Proper treatment of ADHD can help improve such behavior and I believe, when you’re in that special relationship, you will more than likely want to change and get the help you need. Wanting-to is not enough when it comes to ADHD though, that’s why it is a disorder; therefore, proper professional treatment is imperative. If you are constantly forgetting things, like picking up the kids, anniversaries, birthdays and other special events which mean as much to your partner as they do you, then your ADHD is affecting your relationship. Out of all the symptoms, I think this is the one where we have to take a moment and realize that when we are forgotten, or left out, or neglected, there are few, few things that hurt us more. Think about it: Have you ever felt neglected or forgotten? We know how it feels, don’t we? Take that in. Feel it for a moment. 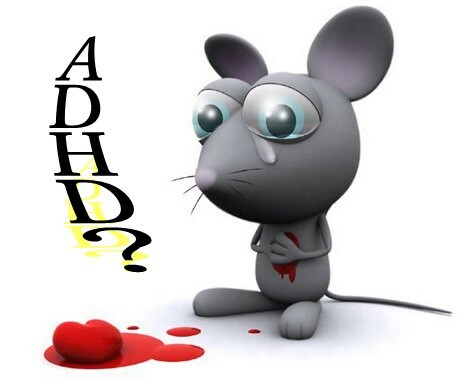 People without ADHD feel emotionally too, they hurt too, they have feelings and need satisfaction as much as the next person and when in a relationship with an ADDer, sometimes their needs, satisfaction and hopes get lost as we can’t even find our keys. Treating ADHD can make that difference. If during love-making you cannot focus on enjoying it and constantly consider what comes next, or your mind drifts here and there, then you could be an ADDer! Seriously, this affects relationships as well and it could be affecting it profoundly! Treatment can help here too. Even if one’s relationship issues are not directly caused by ADHD, we still owe it to ourselves to seek treatment, because, life has so much to offer and we tend to miss out on too much. It’s about quality of life, your quality of life and if you are in a relationship, your partner’s as well. In any event, please don’t take yourself for granted, because, yes, you do have so much to offer. You really do. Proper professional treatment can help you be more than you ever imagined you could be. I truly believe that. The thing is, now-a-days, insurance, bills and holding down a job seem to be the factors in control and taking the most of our time. Most especially in such times as these, it is important to realize what is of most value to us and make something of what we do have. If so, yeah, I thought so, you know, indeed. If not, then you have some kind of special wonderful to look forward to. Next post: Have you ever wanted to be… better than you are?